XE Electronic Technology is a chinese developer and manufacturer of gps vehicle trackers, personal trackers and asset tracking hardware. 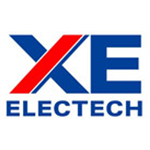 Powered by strong design and development ability, production capacity and strict QC system, XE Electronic Technology is promptly supplying high quality and price competitive products to mass customers. The chart below shows the changes within the last 30 days in the number units of XE Electronic Technology devices type are connected to Wialon Data Center.